Moonshine during Sunshine - you have to love those long Irish summer evenings! As a break from writing about people who work in the world of wine, I’ll share a quick story about people enjoying wine and food in a place saturated with history, and sometimes with rain (fortunately, not during our visit). 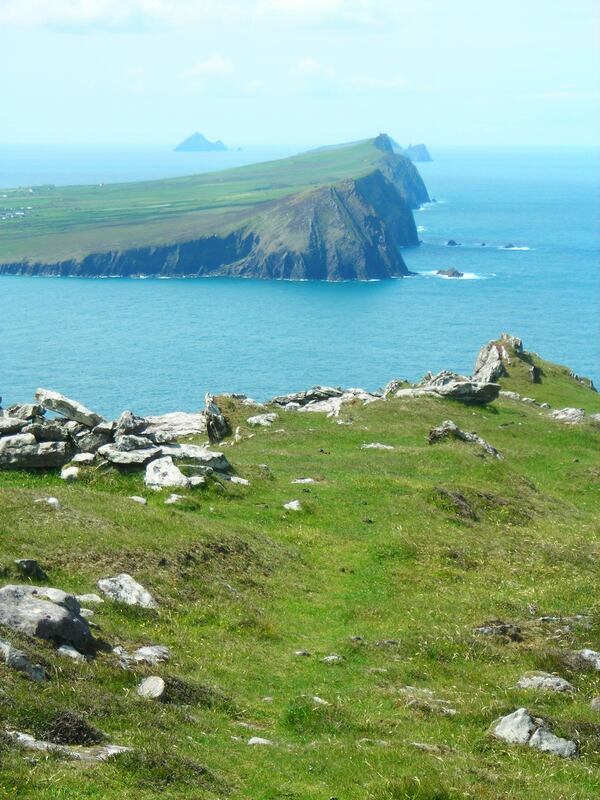 Ireland’s wild, wind-lashed peninsula called An Daingean (Dingle) is peppered by rocks, boulders, and beauty. Thirty miles long, and including over a hundred miles of coastline, it juts into thrashing Atlantic waves. It is home to Europe’s westernmost towns. 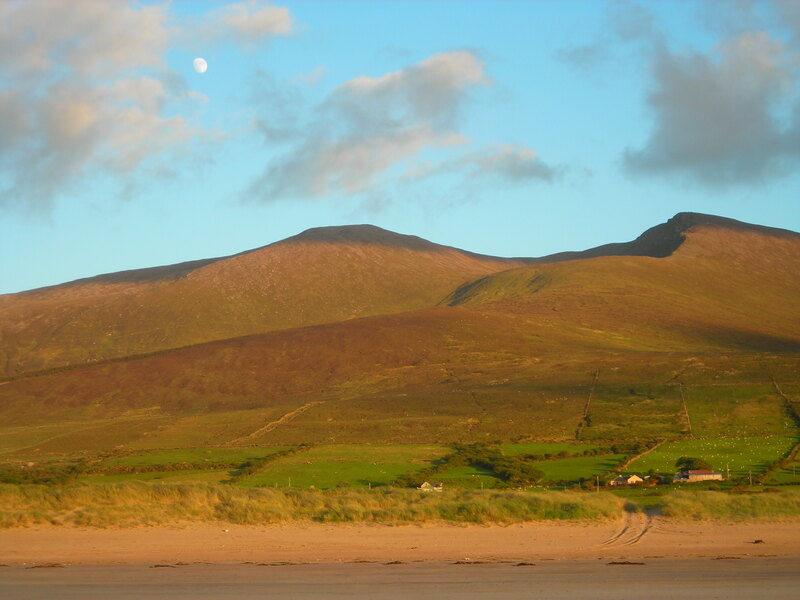 The people who live on this peninsula and its main town (also known as Dingle) have appreciated seafood and imported wine for centuries. For millennia fishermen have plied these rough waves in narrow tar and leather curragh boats, pulling catches of plaice, sole, turbot, herring, and mackerel from rich waters. 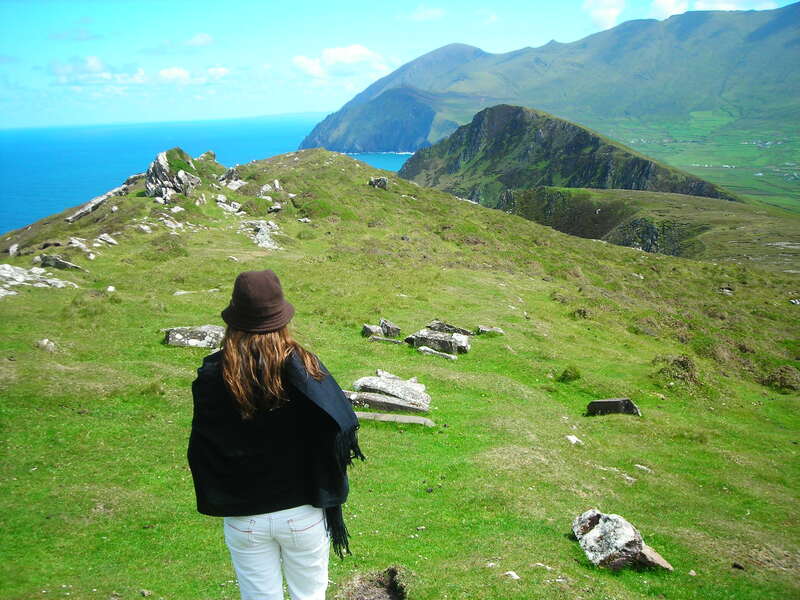 For more than five centuries Spanish sailors have traveled here to trade hogsheads of Iberian wine for coarse Irish linen. 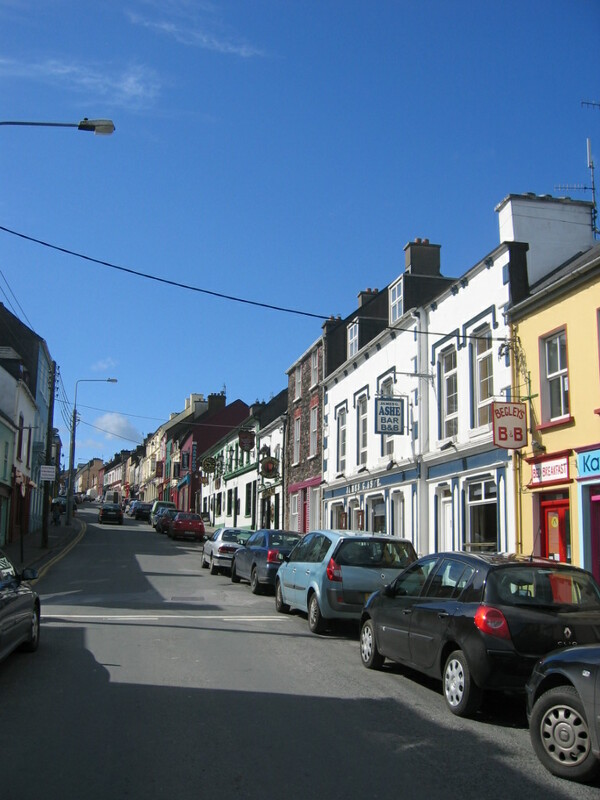 Ireland’s Great Famine in the mid-nineteenth century established Dingle as a commercial fishing center. The town’s deep water port transformed to a permanent haven for trawlers, open sail boats, and rowboats. Sheds were later built to cure the autumn harvests of mackerel shoals. Out of the Blue faces Strand Street before Dingle’s marina. This is the town’s sole ‘seafood only’ restaurant. A sign outside proclaims ‘No chips, nothing frozen, only fresh or alive.’ Picture books about seafood, such as Irish Oyster Cuisine, lay on wooden dining tables inside. A friend and I sat and shared fish chowder with a taste of lemon grass, dill, star anise, and caraway seeds. Next – fresh oysters. These were the best we sampled in Ireland – plump, mild, slightly buttery. Because the fish selection changes daily, there is no printed menu. A smiling woman delivered a large blackboard listing the day’s catch to our table. For the main course we chose Pollack in a potato crust, garnished with couscous, shredded beet, mushrooms, and snow peas. From a list of French, Portuguese, Italian, and South African wines we chose French Sancerre Domaine des Brosses, and followed this with a glass of Nieport late bottled vintage port. The yummy tastes included, I was told, plum, chocolate, and an aroma of smoky blackberries. Maybe. To me it was just sweet and fun. 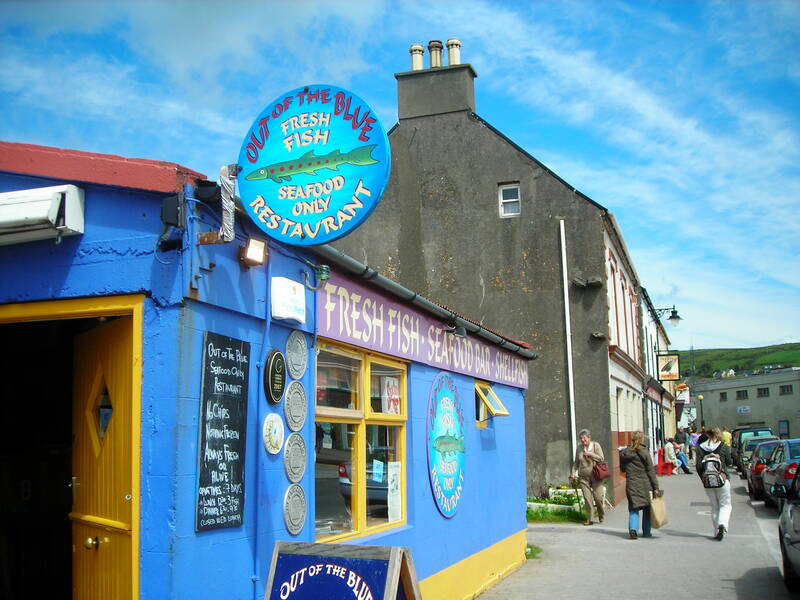 The atmosphere of Out of the Blue matches the new Ireland – where fresh brown bread is sprinkled with poppy seeds, fish types are listed in four languages, and jazz music plays in the eclectic interior framed by traditional whitewashed stone walls, as well as new rooms painted bold red and yellow. The staff are cordial and quick, and the food is sobhlasta, which means – in the Gaelic language – tasty. 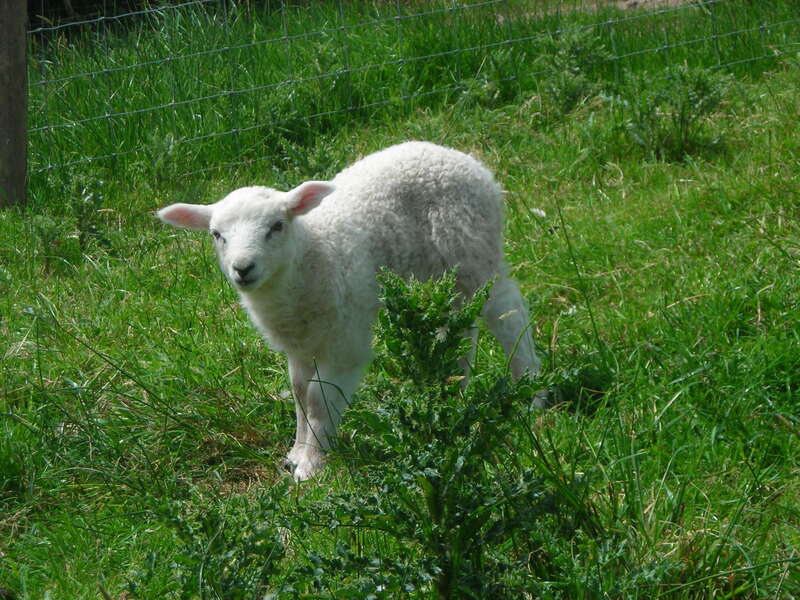 After lunch we hiked in the hills, loving the sunshine and gawking at lambs and ragged coastline. In the evening we drove for ten minutes over an inclined, winding road to the peninsula’s northern shore. We pulled up to hillside Old Pier restaurant near An Fheothanach village. This sits above Smerick Harbor, with a stunning view of coastal peaks named An Triúr Deirféar (The Three Sisters) across the bay. The dining room was loud and packed with locals. The waiter who spoke Gaelic (An Daingean is part of the region of Ireland, known as the Gaeltacht, where both English and Ireland are spoken) served us a bottle of New Zealand Nobilo White Cloud wine and an appetizer of crab claws in garlic butter, as well as deep roasted brie with a raspberry coulis. For a main course we shared large plates of roulades of lemon sole stuffed with crab and served with white wine sauce, as well as a seafood mornay – like a casserole – that included haddock, salmon, prawns, and mussels. Dingle? Far from desolate these days. But both the coastline and hills are still wild and spacious, and respect for good seafood and wine stays strong. You lead a charmed life. Love the summer moon photo in the wilds. In fact, all the photos are good! 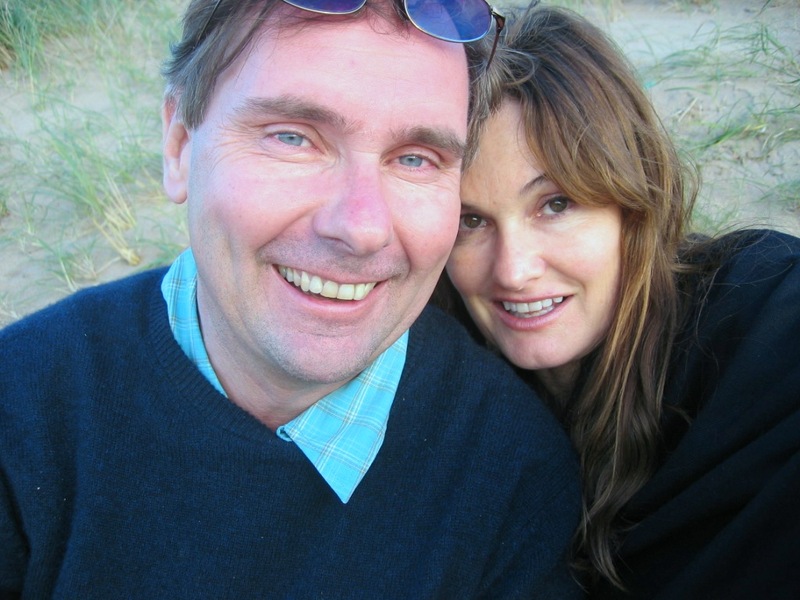 And the story….great memories, great update. The lass is Robin. Travel partner in crime! my only regret is not hearing some local music. I think after oysters at Bunratty Castle we called for an early night to catch flights….should have skipped sleep and listened to the music. Jaysus. Next time. And the place where I met you, Miss Trish. Do you remember the name of the B&B and/or the pub?